84.14 x 110 mm; 86 bhp at 3,400 rpm. 3-speed with floor lever; optional overdrive with free wheel. Wheelbase 113 in; weight 3,285 lbs. 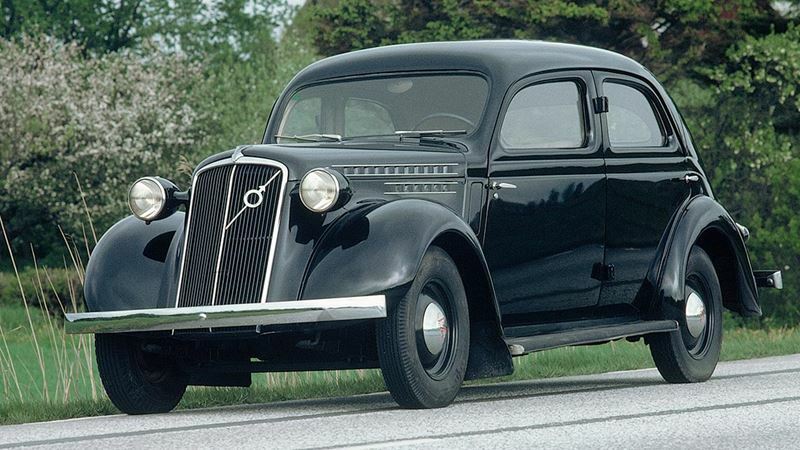 The first model in the 50 Series was the PV51, introduced in 1936. The first owner of one of the PV56s was Nobel Prize winning author Selma Lagerlöf, 1858-1940.